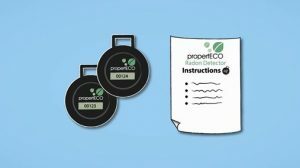 Thank you for purchasing a Radon Test Kit from PropertECO. The detectors you will receive are passive devices that allow air to pass through the casing. Any radon present in the air will cause microscopic tracks to be produced on a specially formulated plastic plate located inside the detector. During analysis, this plate will be developed so that the tracks are visible and the properties of these tracks will be assessed and converted into a radon measurement shown in units of Becquerels per cubic metre of air (Bq/m3). Analysis is carried out by a third-party, independent laboratory that is validated by Public Health England. IMPORTANT: Carefully remove the detector from the sealed bag immediately before starting the test. Keep the bag in a safe place as you will need this when returning the detectors for analysis. 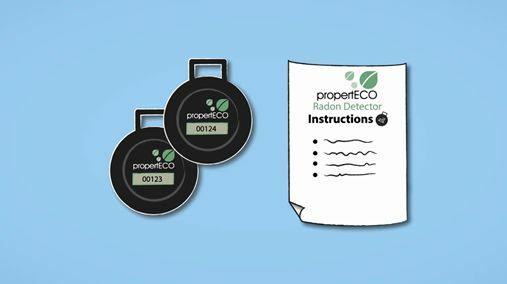 If you do not plan to start the test within two days of receipt, please store detectors in their packaging in a freezer. All detectors must be returned for analysis within 6 months of purchase at the maximum. Do not attempt to open the detector casing as this will invalidate results. 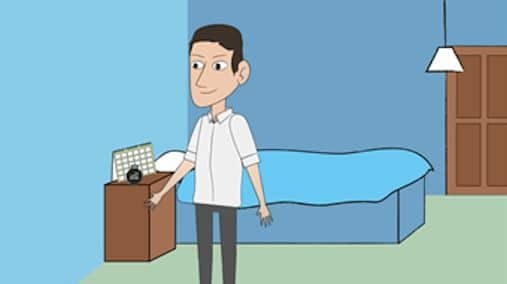 1) In homes, it is recommended that one detector is placed in a living room and one in a bedroom so that the areas with greatest occupancy are assessed. Place a detector on a table or shelf in the room chosen, preferably at least one metre from the floor. Detectors can also be hung on picture hooks, pinned to a noticeboard or attached to racking using a cable tie. Once the test has commenced, the detector must remain in this position. Place one in the living room or basement and one in the bedroom. Do not place detectors in kitchens or bathrooms, in draughts, near sources of heat, or inside any objects e.g. cupboards. Avoid window sills, mantelpieces, radiators, fire places and computers. The detector materials are harmless, but please place outside the reach of children or pets. 2) Fill in all the details on the tracking form that came with the detectors. It is vital that we know exactly where each detector was placed, including which floor of the building, and whether the tested room was part of a home or a workplace. 3) After the test period is over (Either 10 days or 3 months) remove the detectors from the test locations and fill in the final column on the tracking form to indicate the date the test was completed. Should you have any questions please call our head office on 01606 563042 or use the feedback form on this page.